I always love shooting with these two! Kirstie and Josh wanted some pretty photos for a holiday card and also just to have updated photos of them together. So we ventured out to local fave, McConnell Springs with a lovely bouquet of flowers + my favorite Gathered Mercantile blanket. Kirstie is also a photographer herself, and is always up for anything. When I asked them to lay in the fluffy ivy on the grounds, they didn’t blink twice. It’s always so fun working with the Dunstons! 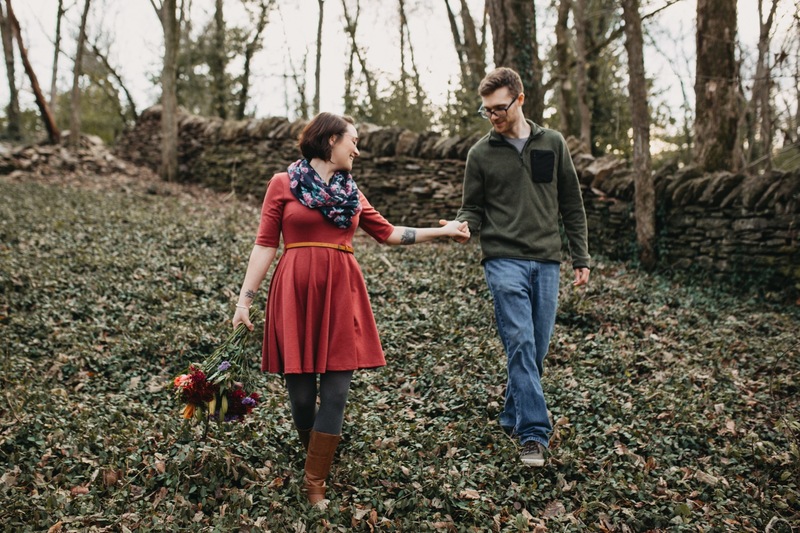 See this sweet pair’s Red River Gorge first anniversary session here.